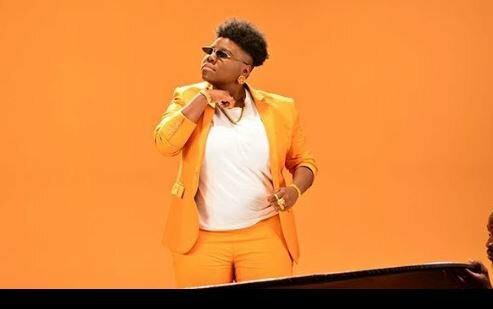 Teni Apata, professionally known as Teni The Entertainer is no doubt one of the buzzing artistes in Nigeria at the moment. Though Teni is yet to have an album, but her string of hit songs in 2018 won’t be forgotten in a hurry. The eclectic entertainer in a chat on ‘Off the Top with VJ Adams’ said she is single and waiting to marry Dangote’s son. “I am single; I am waiting for Dangote’s son. I just want someone that is not controlling, I don’t listen to commands, I can be very rebellious”. “Nini told me from day one, go and do your own thing. And to me, that has been the most liberating thing, doing my own thing, in my own way,” she said. The social media sensation listed Seyi Shay, Simi, Tiwa Savage, Yemi Alade and Bisola Aiyeola as some of the female artistes she looks forward to collaborating with. Teni’s brand identity, her versatility and tomboyish mien are traits that makes her different. When asked how she reacts to social media criticisms, she said:” I get bashed on social media, I really don’t care”. On If she will ever quit doing music, she said:”I wont stop doing music except I die because that is the easiest thing I can do.When my sster didn’t win the reality TV show I wasn’t happy. I am her biggest fan”.